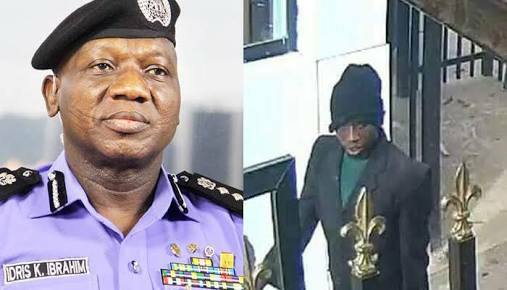 A dismissed Nigeria police corporal, Michael Adikwu, suspected mastermind of the April 5 Offa robbery attack in Kwara, is dead. Kamaldeen Ajibade, Kwara state commissioner of Justice, made the disclosure during the arraignment of five suspects in connection with the incident before a Kwara high court. Adikwu had reportedly confessed to killing over 20 people during the attack which claimed 33 lives, including pregnant women and 12 police officers. There were speculations that Adikwu was shot dead (by the police) in the presence of other suspects in other to coerce confessions from them. There has been media reports that he might be dead after his name was missing in the list of suspects when the police gave an update on the investigations. Adikwu was also not among the paraded suspects. However, Jimoh Moshood, police spokesman, denied that Adikwu was dead. “Michael Adikwu is in police custody. You know he is the one that led the killing of 22 people. So the fire arms that were carted away, he is helping the police in investigation to recover them,” Moshood told TheCable. However, Ajibade told the court on Wednesday that there was a need to amend the charges against Adikwu following the news of his death. The commissioner said his name should be removed from the charge sheet, adding that the police will be asked to provide evidence of the suspect’s death. He prayed the court to grant an adjournment to enable his office effect the necessary amendment to the charges. “There are two complaints. One, the suspects do not have legal representation; two, we were informed by the police headquarters in Abuja that the first accused person, Michael Adikwu is dead,” Ajibade said. “Taking a look at case’s dairy, we discovered there is statement from the first accused person. I directed the Director of Public Prosecution (DPP) to contact the force headquarters and he spoke with one Abba Kiyari and he told us that the first accused person is dead. Halimat Salman, the presiding judge, granted Ajibade’s prayer and adjourned the case till November 30.